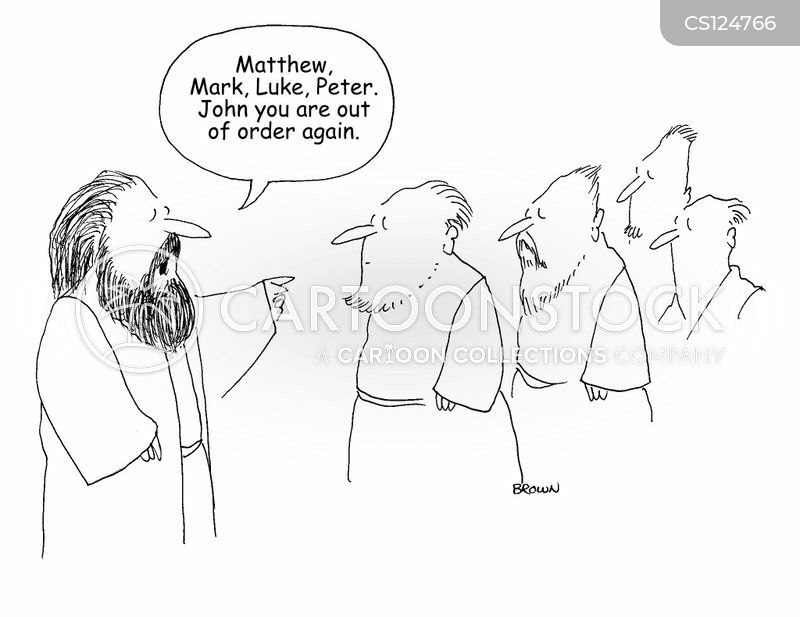 "Matthew, Mark, Luke, Peter. 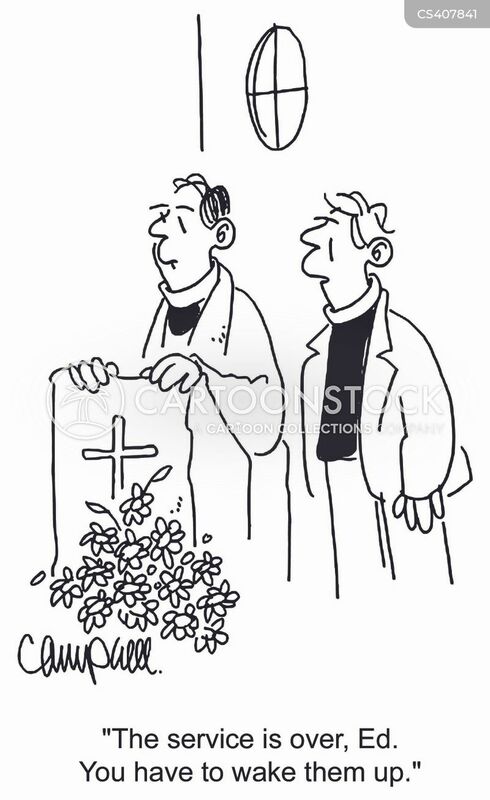 John you are out of order again." 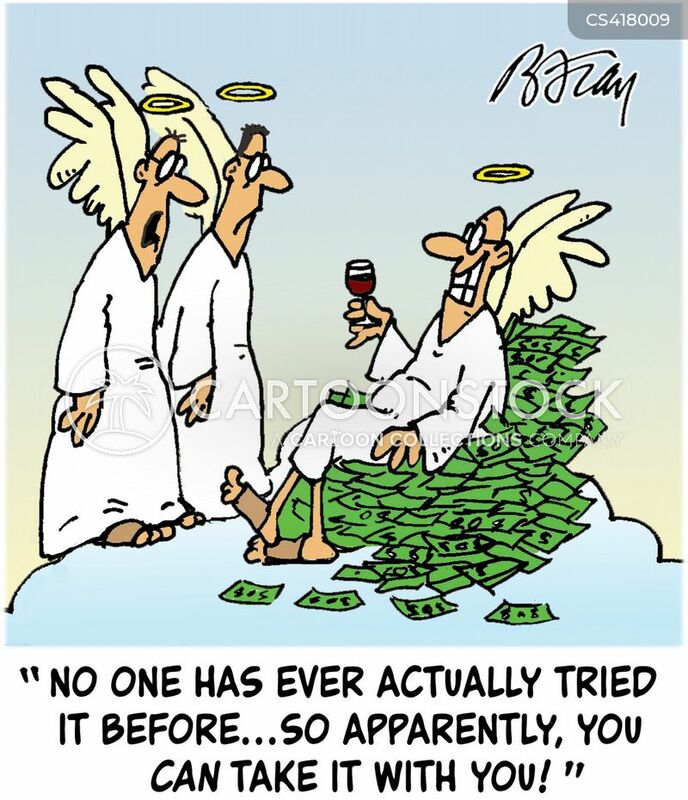 "No one has actually ever tried it before...so apparently you CAN take it with you!" 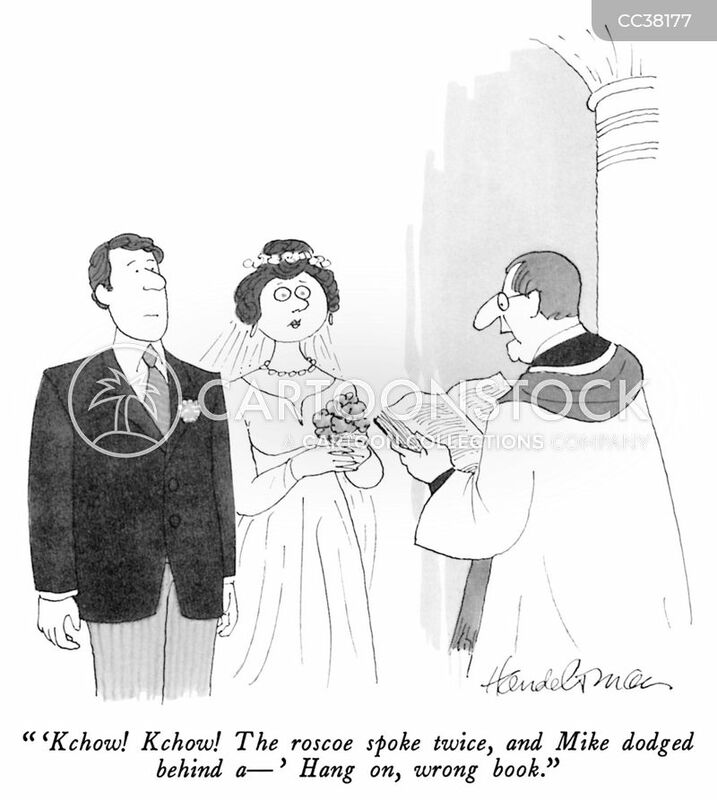 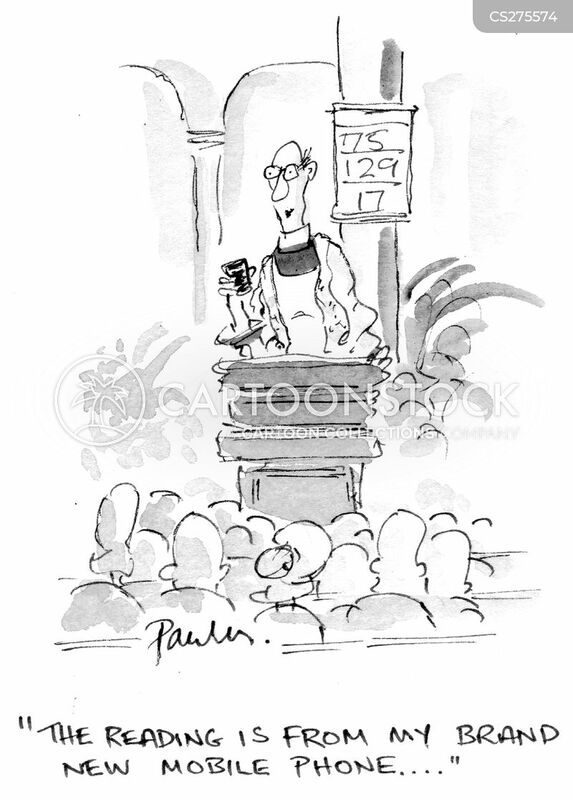 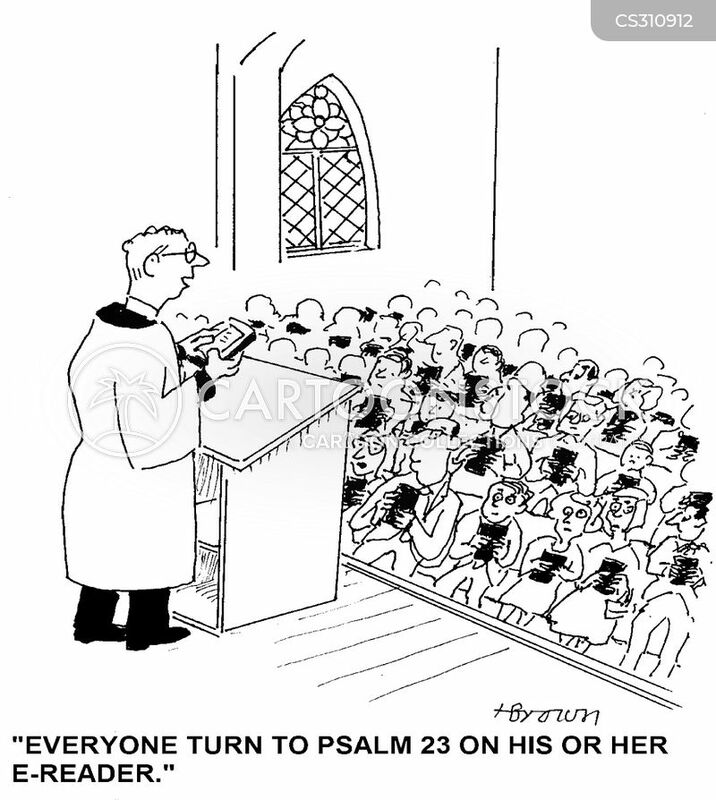 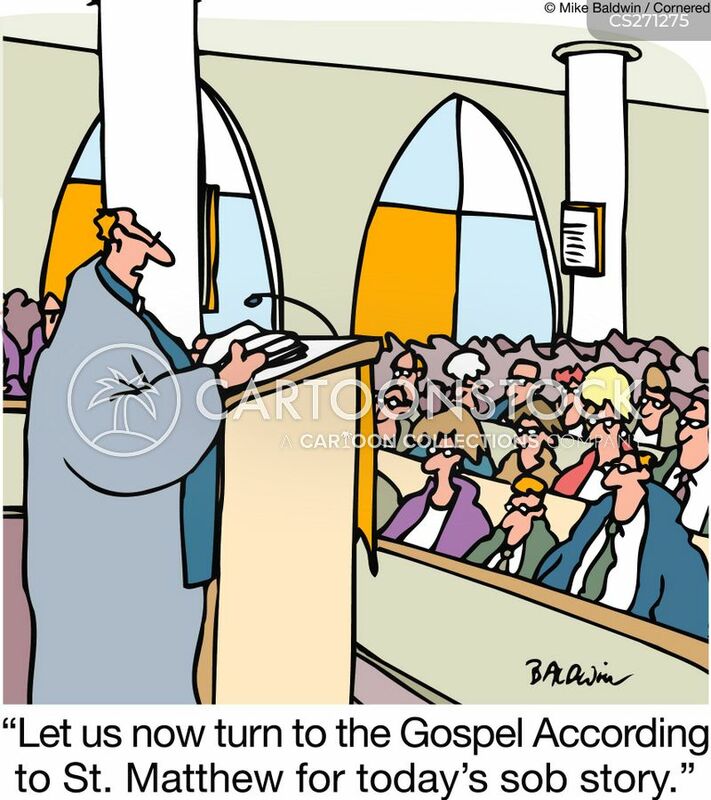 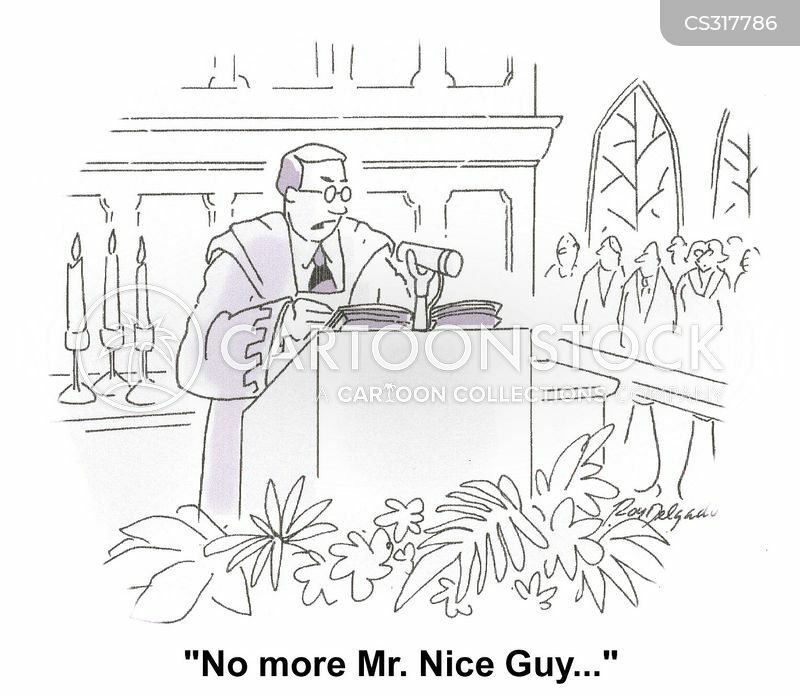 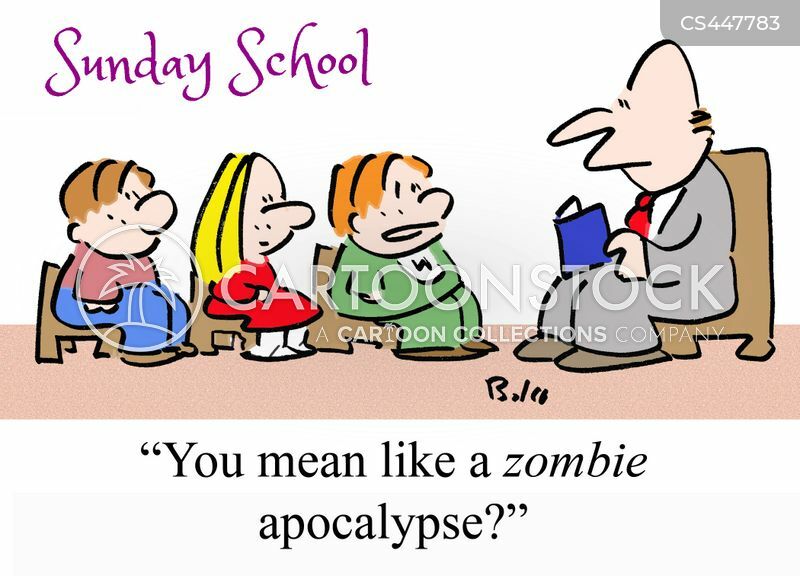 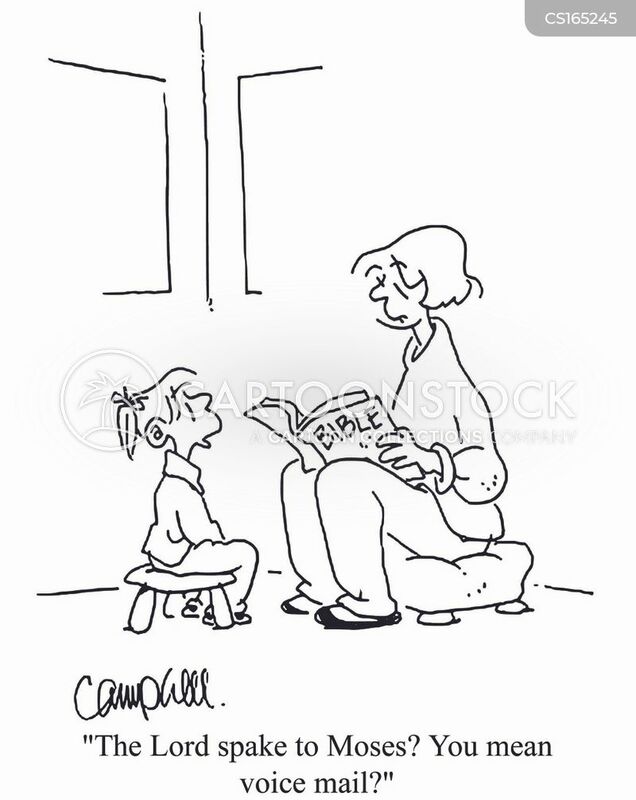 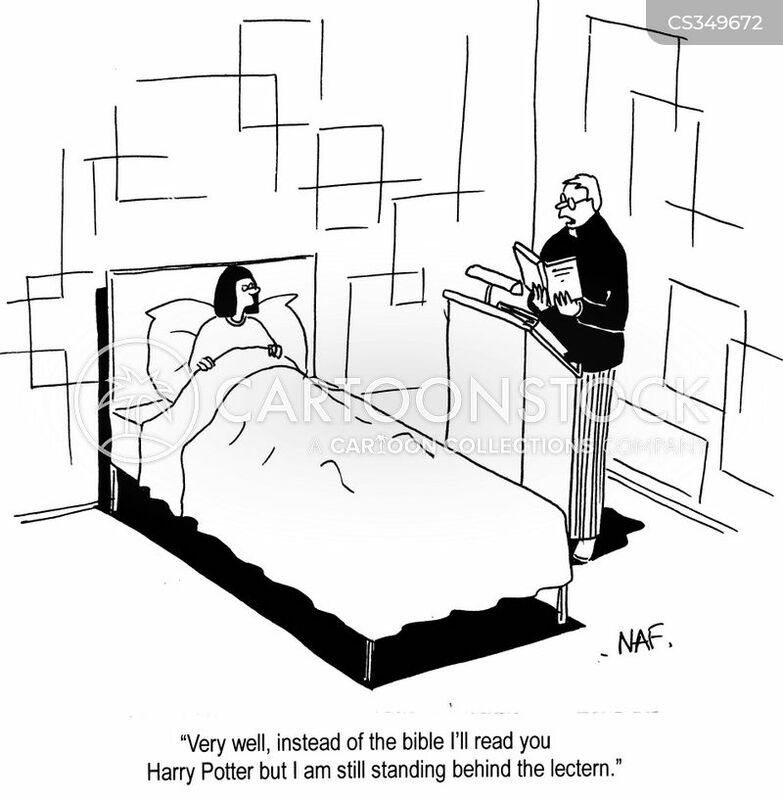 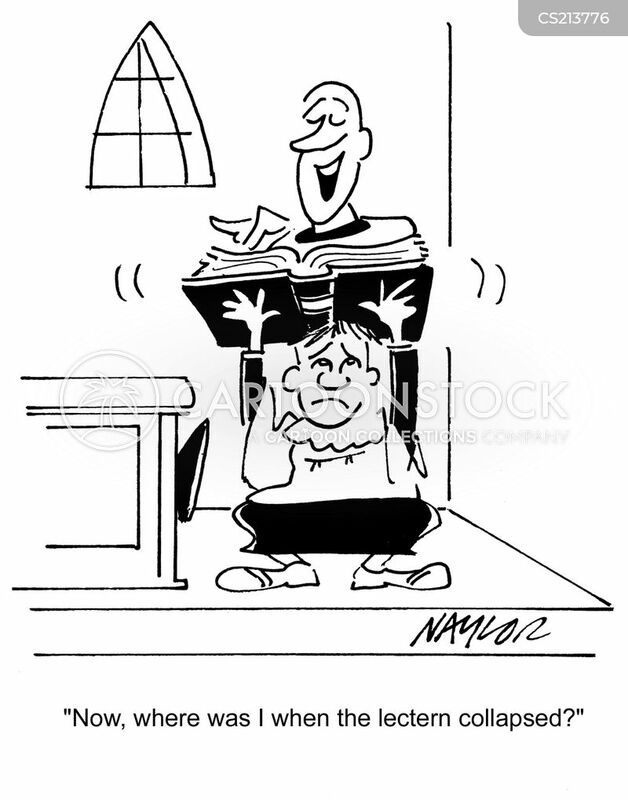 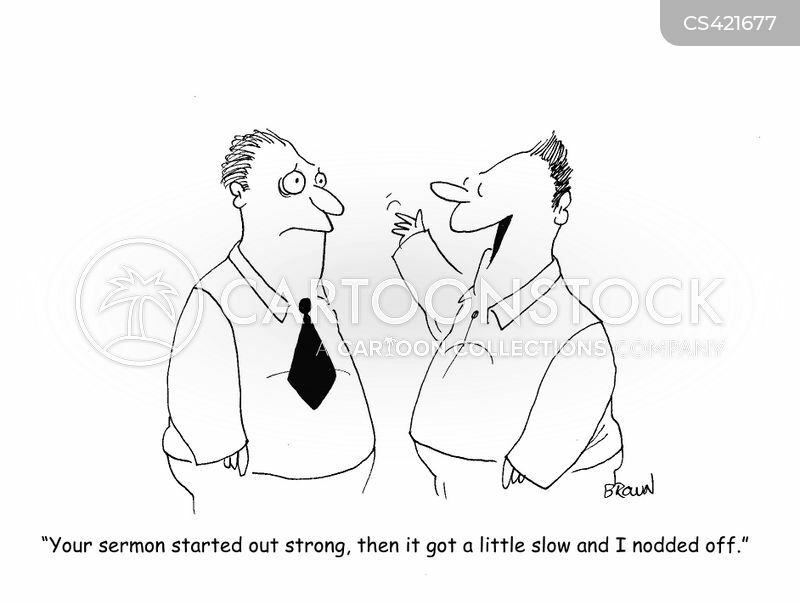 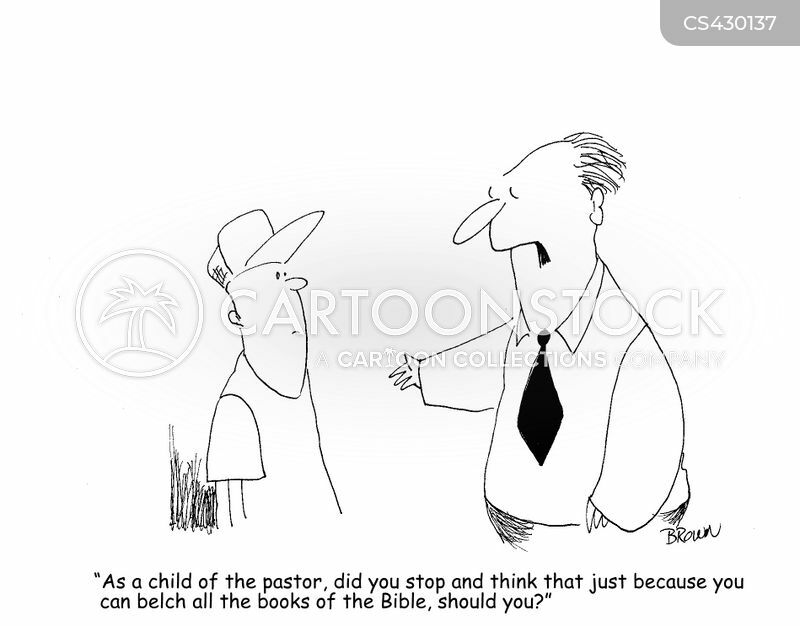 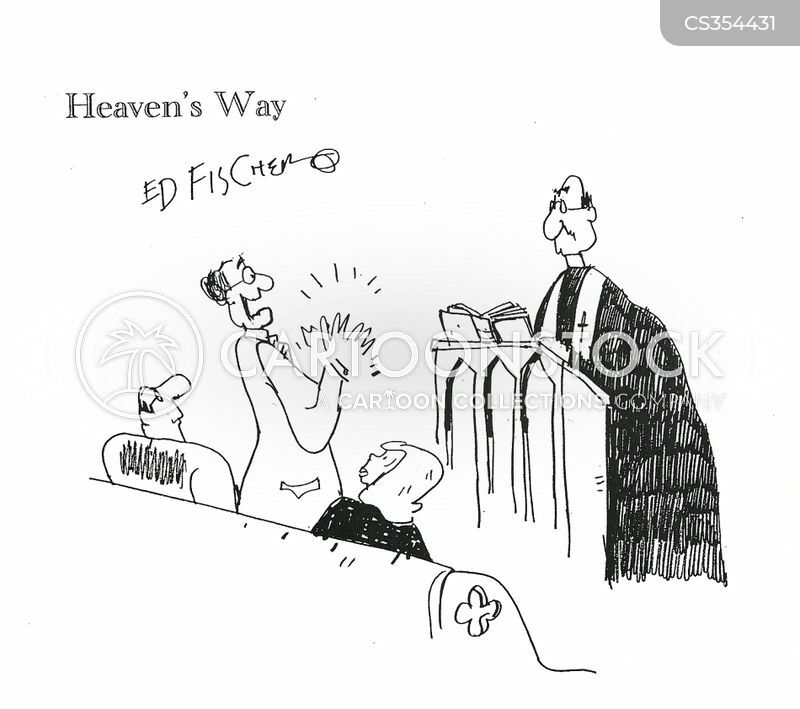 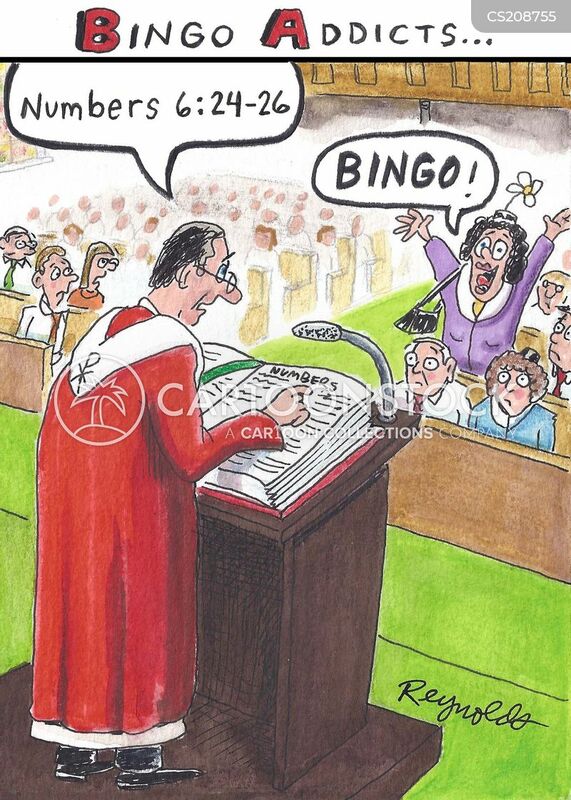 "Your sermon started out strong, then it got a little slow and I nodded off." 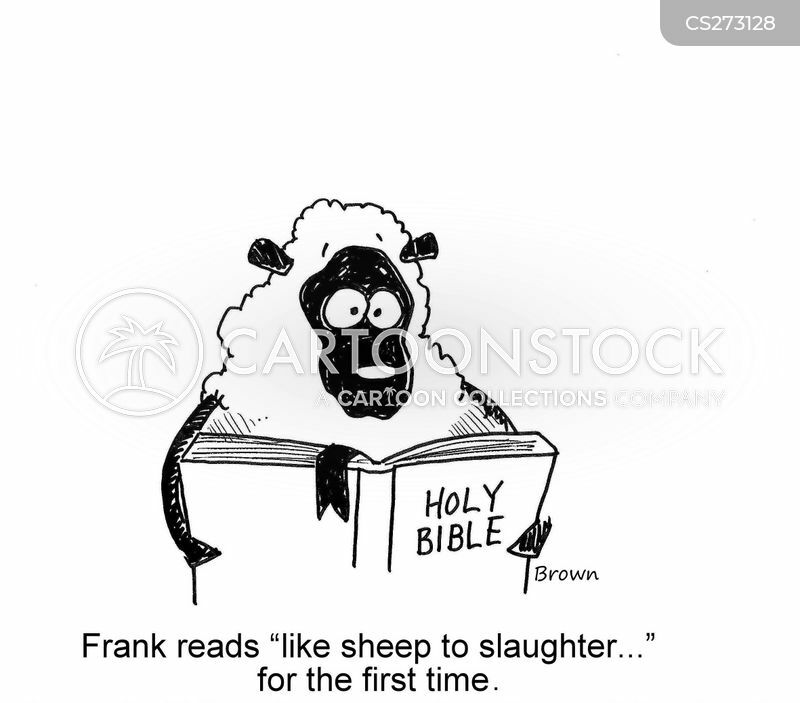 Frank reads 'like sheep to slaughter...' for the first time. 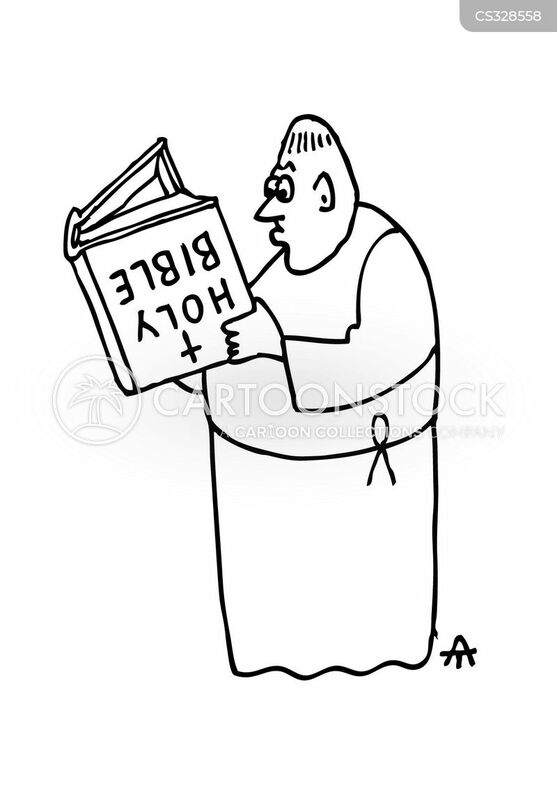 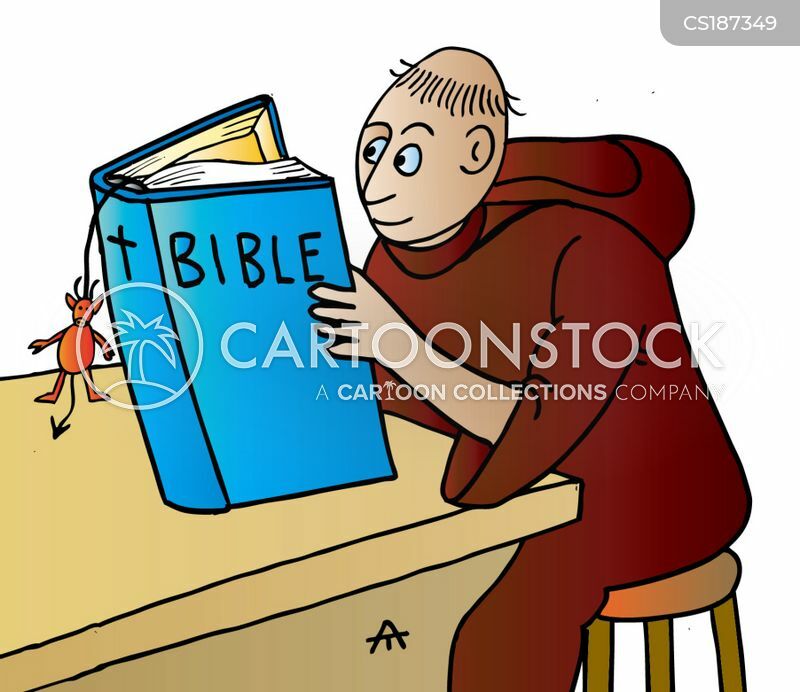 Monk reading an upside down bible.